Nigerian consumer data analytics firm Terragon Group acquired Asian mobile marketing company Bizense in a cash and stock deal. The price of the acquisition was not disclosed. Headquartered in Lagos, Terragon’s software services give its clients — primarily telecommunications and financial services companies — data on Africa’s growing consumer markets. “Most of the problems we seek to solve for our clients in Africa also exist in places like South East Asia and Latin America,” Umeh told TechCrunch of the logic for the acquisition. Umeh indicated the company is contemplating further expansion in Asia and Latin America, where Terragon already has consumer data research and development teams. Tarragon has a team of 100 employees across Nigeria, Kenya, Ghana and South Africa. Clients include local firms, such as Honeywell, and global names, including Unilever, DHL and international agribusiness firm Olam. Terragon’s acquisition in Singapore, and moves by several other Nigerian ventures this year, signal greater global possibilities for Sub-Saharan African startups. 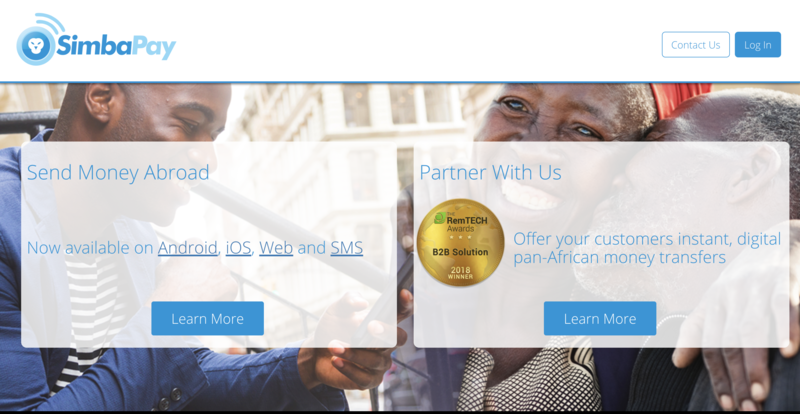 African financial technology companies like Mines and Paga announced their intent to expand in and outside Africa. They would join e-commerce site MallforAfrica, which went global in July in a partnership with DHL. Kenya’s Twiga Foods has raised $10 million and announced it will add to its product line-up processed food and fast-moving consumer goods. The $10 million IFC and TLcom Capital co-led investment comes in the form of convertible notes, available later as equity, according to Wale Ayeni, regional head of IFC’s Africa VC practice. Twiga Foods has built a B2B platform to improve the supply chain from farmers to markets. The startup now aims to scale additional merchandise on its digital network that coordinates pricing, payment, quality control and logistics across sellers and vendors. CEO and co-founder Grant Brooke sees “a growth horizon…to build a B2B Amazon,” with produce as the base. “If we can build a business around fresh fruit and vegetables, everything else after that is much simpler to add on,” he told TechCrunch in this feature. Forging another link between Africa and China’s digital economies, the African-focused money transfer startup SimbaPay and Kenya’s Family Bank have launched an instant payment service from East Africa to China. The new product — which piggy-backs on WeChat’s messaging service — is aimed at Kenyan merchants that purchase goods from China, Kenya’s largest import source. To be clear, SimbaPay isn’t partnering with WeChat on this service, neither to provide the payments nor to build the service. Using QR codes, SimbaPay developed a third-party payment aggregator that enables funds delivery when the buyer and seller both use WeChat’s network, which today has more than 1 billion registered accounts. Individuals and businesses can now send funds to China through Family Bank’s PesaPap app, Safaricom’s M-Pesa or by texting USSD using the code *325#. The service opens a faster and less expensive money transfer option between Kenya and China through the Tencent-owned WeChat social media platform. SimbaPay transfers funds to 11 countries — nine in Africa then to China and India. “Early next year we’ll increase this to 29 countries,” SimbaPay co-founder Sagini Onyancha told TechCrunch in this feature. In case you missed it, TLcom Capital senior partner Omobola Johnson and Terragon CEO Elo Umeh joined TechCrunch editor Jon Shieber for a breakdown of African tech at Disrupt Berlin. They covered everything from digital skills to the pros and cons of Andela in African IT markets and Africa’s IPO prospects. Johnson envisioned Africa’s next unicorn as “as a B2B — business to very small business and SMEs — company” that can solve small businesses challenges, across advertising, access to markets, and finance. TechCrunch’s discussion of African tech with top founders, IT leaders, and VCs continues December 11 in Lagos for the second Startup Battlefield Africa. In addition to the pitch competition of 15 top early-stage startups, discussions are teed up on blockchain in Africa, unique VC models for the continent and solving Africa’s connectivity equation. Hopefully tickets aren’t sold out by the time you read this.